Join Spotlight Programs Board and LASSO to enjoy food from various Latin American countries, fresh fruit juice and a special performance from a traditional Mexican folklore team. A fan of Coco? If so, students will be sure to enjoy this event! 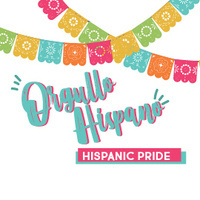 Kicking off Hispanic Heritage month with some Latino pride! Please bring valid Georgia State panther I.D for entry.